Welcome to The Two Hearts Wedding Expo, Durango and Farmington’s premiere bridal fair! 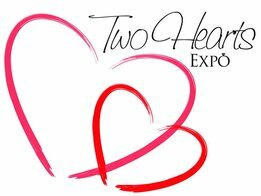 The Two Hearts Wedding Expo is the region’s best bridal show, featuring dozens of local exhibitors. With this concentrated exposure to all that the Four Corners area has to offer, you can literally “Plan Your Day In A Day!” There are representatives from every size and category of wedding business, from large department stores to local specialty shops. Come Prepared to Make Decisions Whether the wedding date is just two weeks away or two years away, everything at the show will be bookable and buyable. Couples with very popular wedding dates, such as those in June or December, will need to make quick decisions and commitments in order to secure their chosen wedding reception site, caterer or photographer. Many couples make initial deposits or sign confirmed contracts to secure their top choices at this event. Some companies take credit cards for deposits while others will accept personal checks. Our best advice? If you are not prepared to make a deposit, at least plan to make an appointment at the show to meet with your favorite vendors. The top vendors often find a year’s worth of business booked at the show or within six weeks of the show. Act quickly, Don’t procrastinate or you may end up with your second or third choices. ♥ IT’S ALL HERE! Fashion, music, tastings, venues and prizes. ♥ EXPERT ADVICE from the area’s top wedding professionals. ♥ SAVE TIME by seeing everything that you will need for your wedding under one roof. ♥ SAVE ON COST with discounts and offers especially for show attendees. Win A Wedding Dress from Occasions Bridal, Formal, Tuxedo! 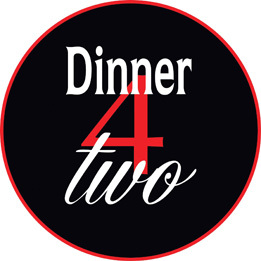 Win a Honeymoon Vacation to the Bahamas, Mexico, or Dominican Republic from Dinner 4 Two!